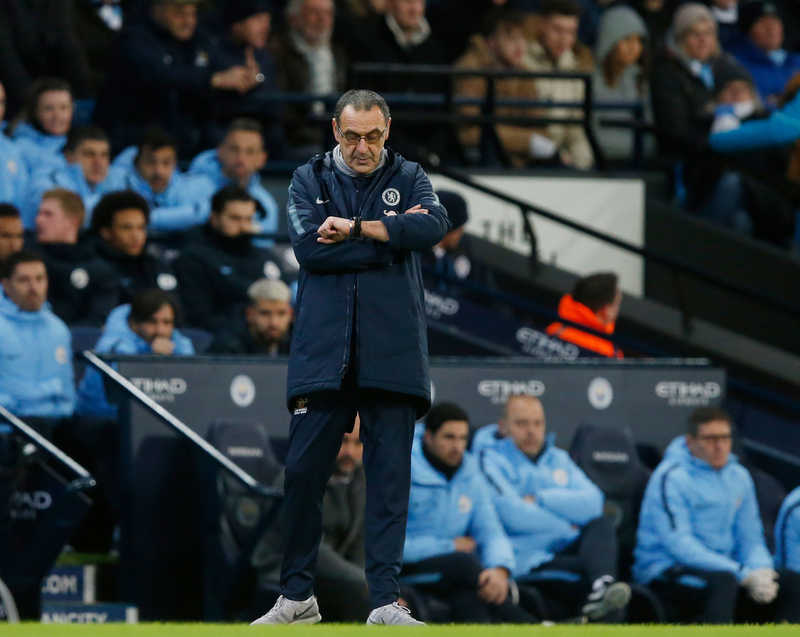 Maurizio Sarri declares Chelsea at their "mental limit"
Chelsea manager Maurizio Sarri says his team have reached their mental limit, following their 2-0 defeat away to Everton. Despite dominating the first half, the London side went on to suffer their seventh defeat in the Premier League this season following second-half efforts from Richarlison and Gylfi Sigurdsson for the Toffees. Chelsea now sit three points behind fourth-placed Arsenal in the Premier League table with eight games to go, having missed the chance to take advantage of their game in hand over Unai Emery’s team on Merseyside. 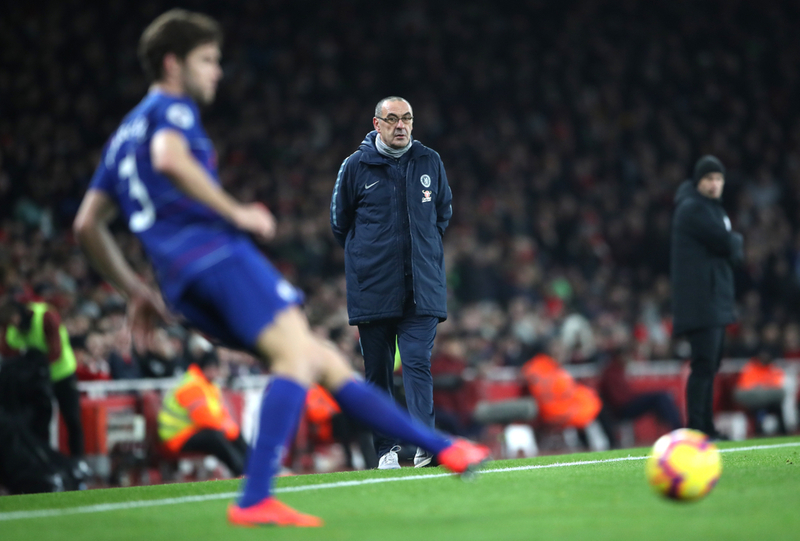 Sarri is under immense scrutiny at Stamford Bridge after a disappointing start to his reign and the Italian has again appeared to question the mentality of his players after what was a solid first-half performance from his team. "We played probably the best 45 minutes of the season and then suddenly at the beginning of the second half we stopped playing; I don't know why," he said. "It is impossible that the situation is a physical problem because if it is, you can go down gradually, not in one second. "It is very difficult for me to explain the change. Probably it is a mental block." "At the moment, this is our limit. "If we are able to play like in the first half with consistency, then we are in another position in the table." SARRI HEADING FOR THE INEVITABLE? Chelsea have been extremely underwhelming after what was initially a promising start under the Italian, now finding themselves sat sixth in the Premier League table below Tottenham, Arsenal and Manchester United. It now looks to be a four horse race for two places in next season’s Champions League between the sides, with the Blues now being at the back of the tightly-knit pack heading into the final eight games of the campaign. They also have some huge games to come in the next few weeks after the international break, facing Liverpool and Manchester United in two of their next five matches in the Premier League. 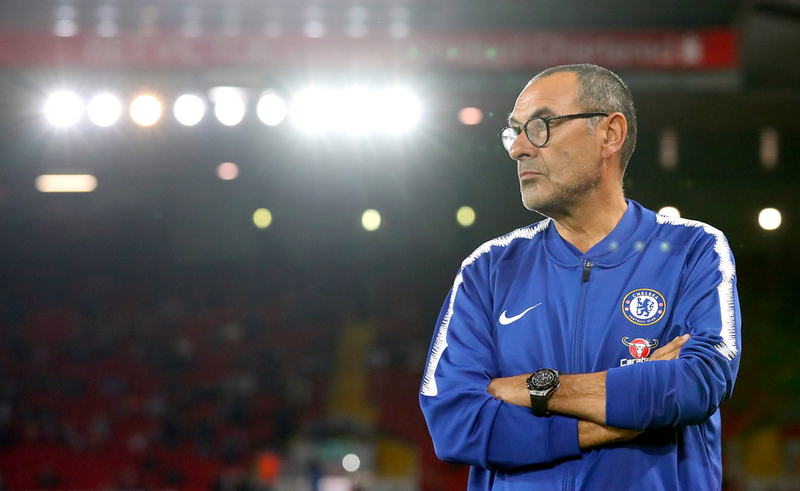 The Europa League could well be Sarri’s only route to surviving past the summer, with Chelsea facing Slavia Prague in the quarter-finals of the competition where the winner earns a place in the Champions League. Perceived as the easiest tie left in the competition, they are heavy favourites to progress into the semi-finals, where they would then face one of Benfica or Eintracht Frankfurt. Sarri has already called out his players this season, with their mentality being his main cause for concern. After their loss at Arsenal he said: "I have to say, I'm extremely angry. Very angry indeed. Many of these players have won the Premier League twice since 2015, others doing so the once under Antonio Conte in 2017, showing that under the right culture and situation they can thrive. Sarri looks to be a dead man walking at Stamford Bridge and it is surely only a matter of time before he loses his job in London.